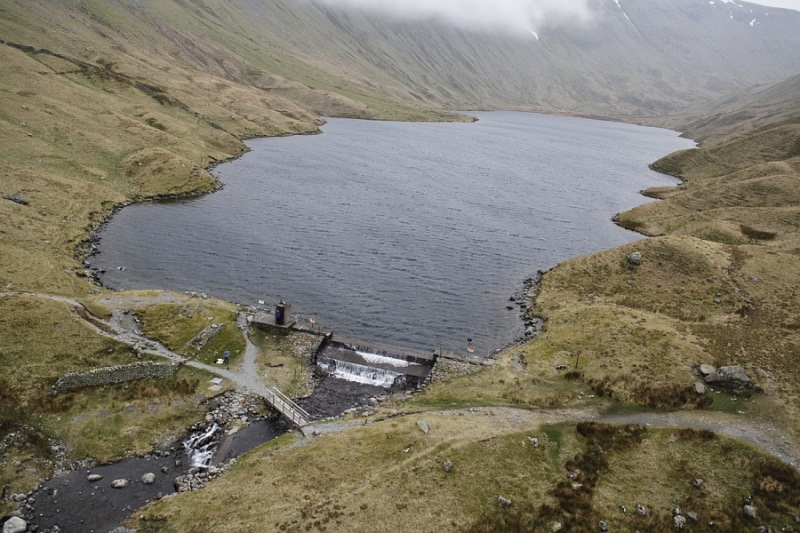 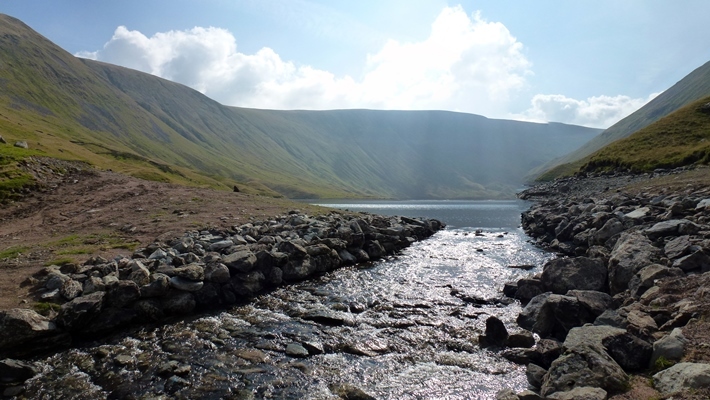 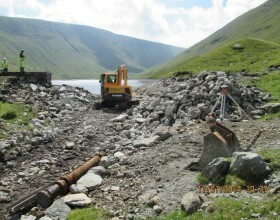 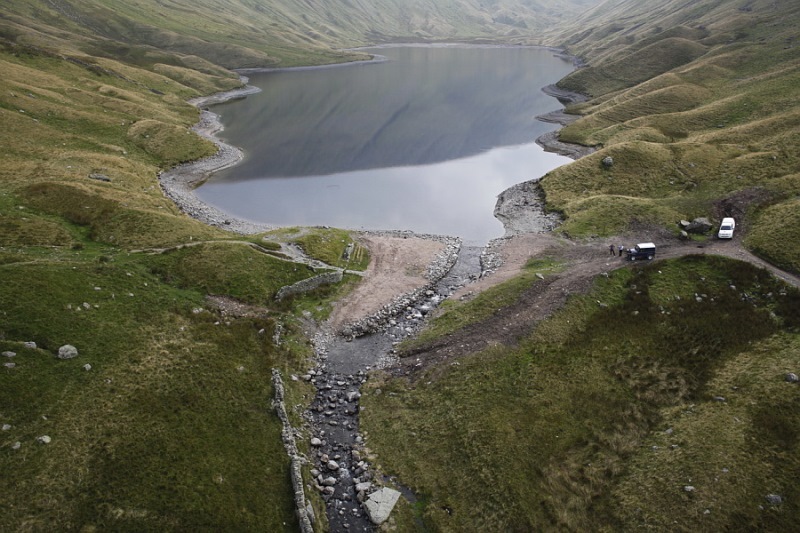 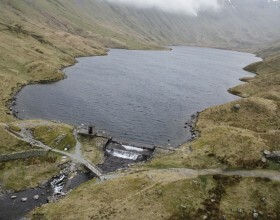 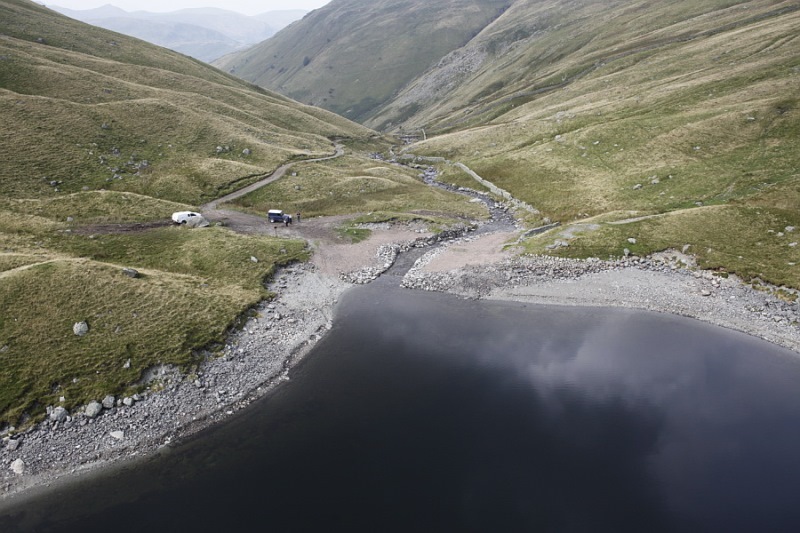 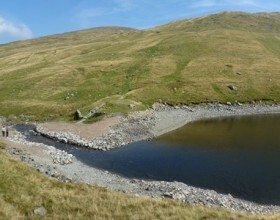 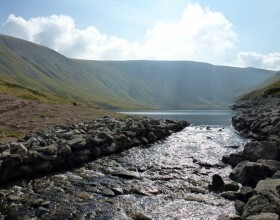 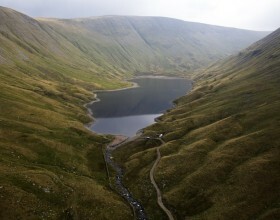 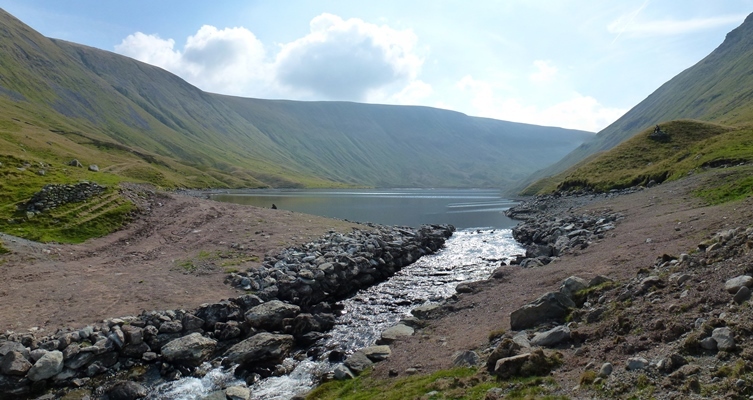 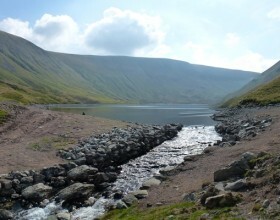 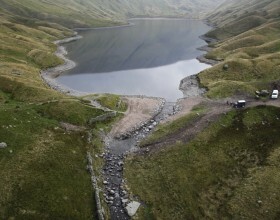 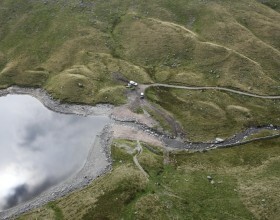 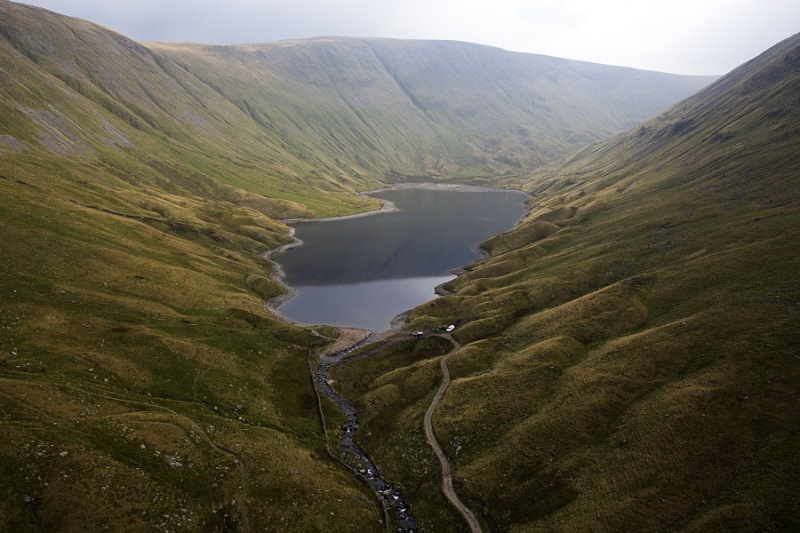 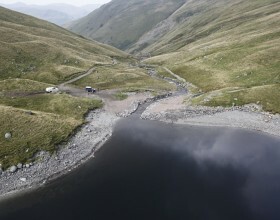 After more than 100 years of public service Hayeswater Reservoir has been restored to the natural mountain tarn it once was. 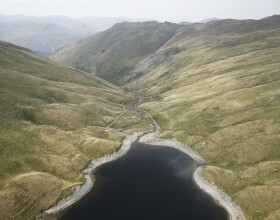 Dammed in 1908 to provide drinking water to communities around Ullswater the reservoir was declared surplus to requirements in 2005. 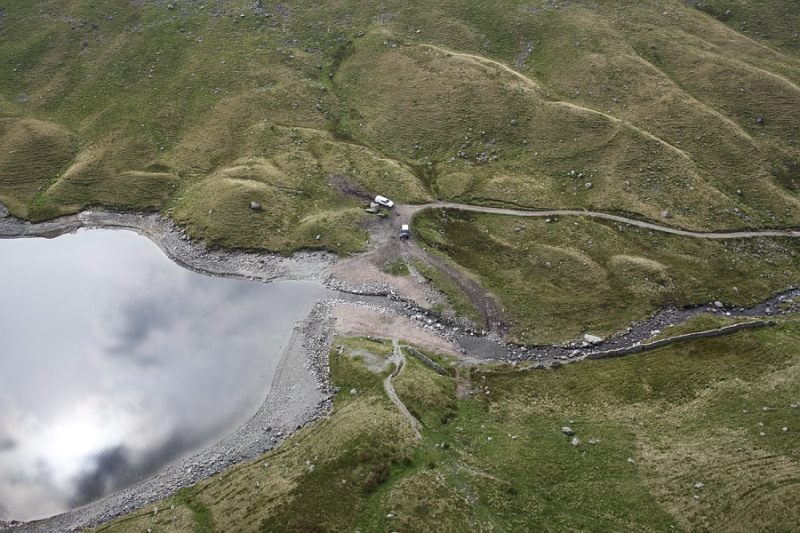 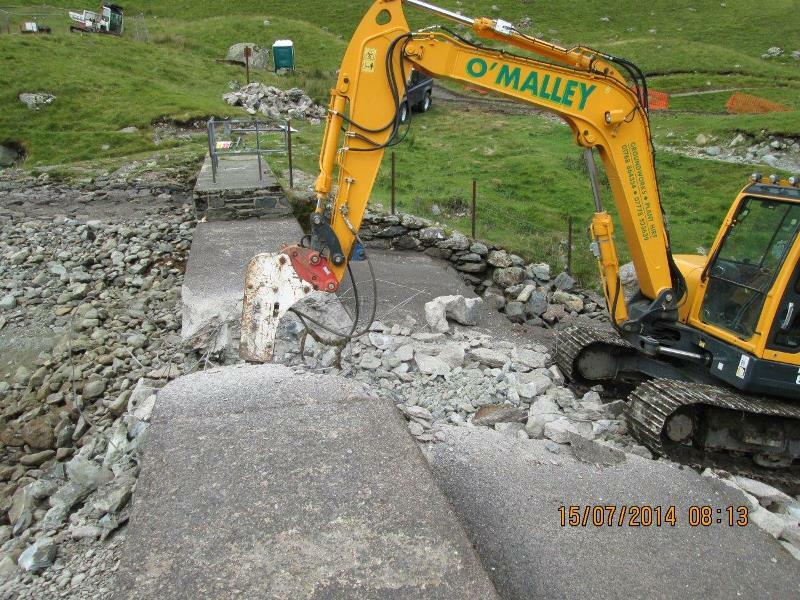 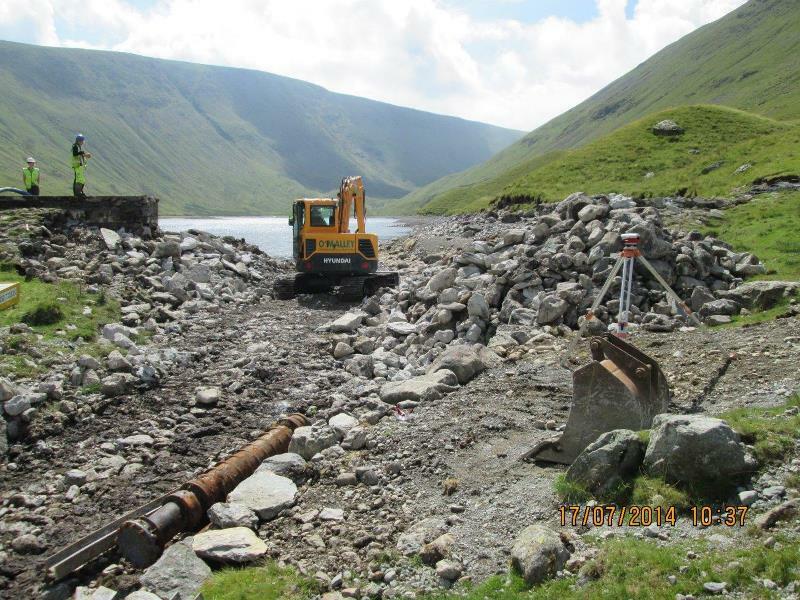 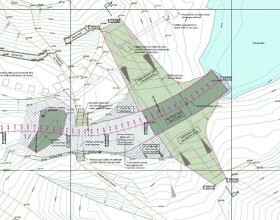 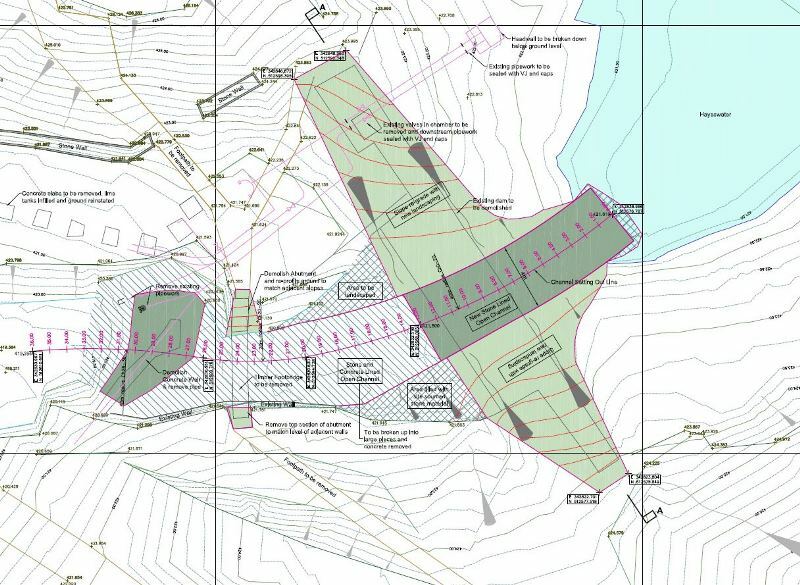 The project team of United Utilities, PaSCoE, and Eric Wright Civil Engineering have worked very closely with the Environment Agency, Natural England and the Lake District National Park Authority to deliver the project with minimal environmental disturbance. 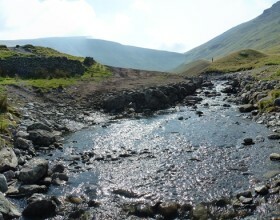 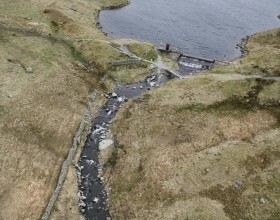 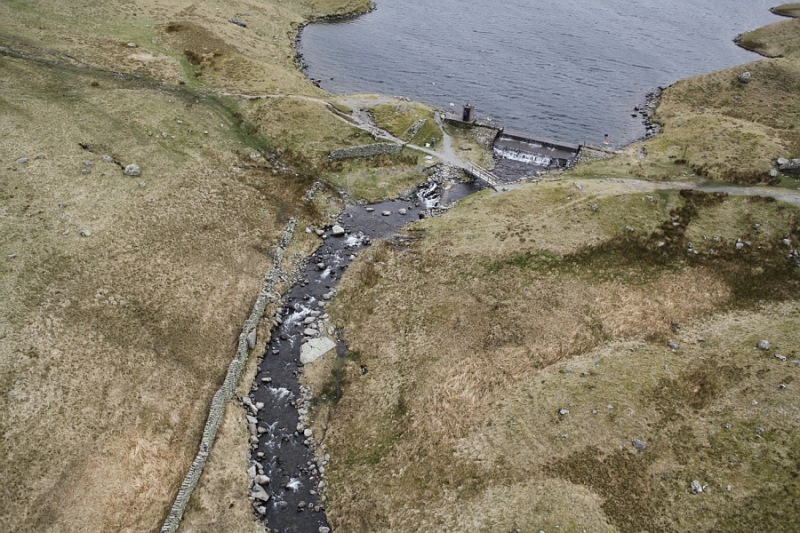 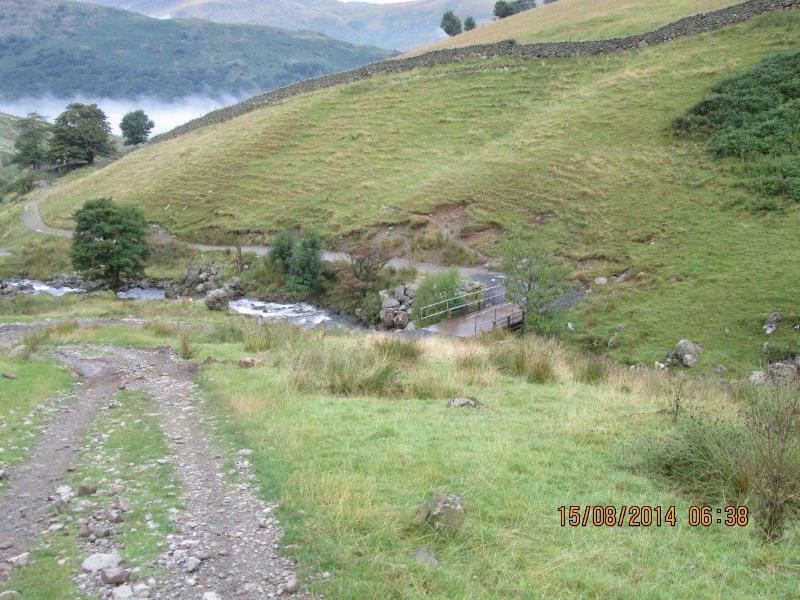 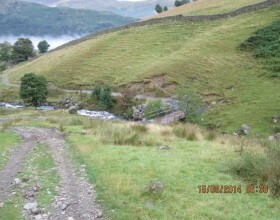 The project included the removal of the concrete and stone dam, construction of a new river channel to recreate the flow of the original tarn’s natural outflow into Hayeswater Gill, and the installation of a new footbridge along the route of a public footpath. 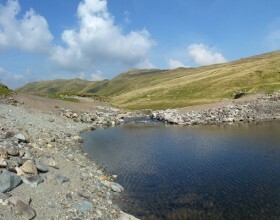 Step pools have been created within the new channel to allow ecological processes and a fish passage to re-establish. 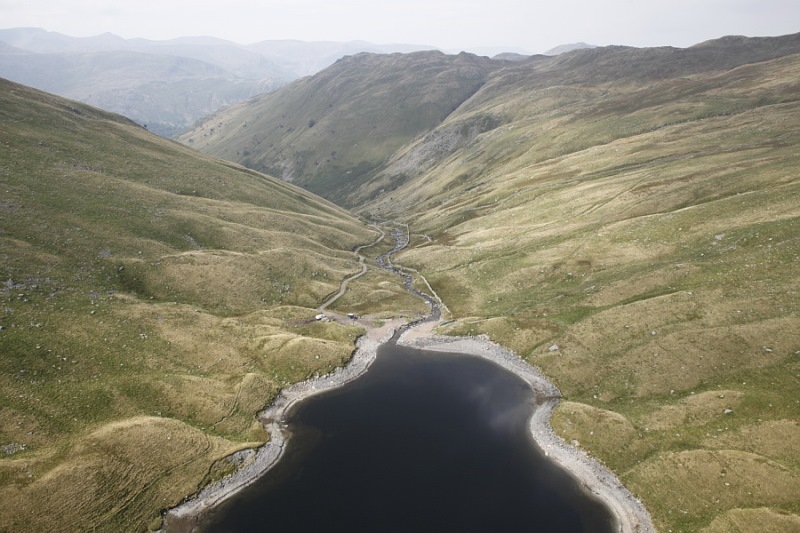 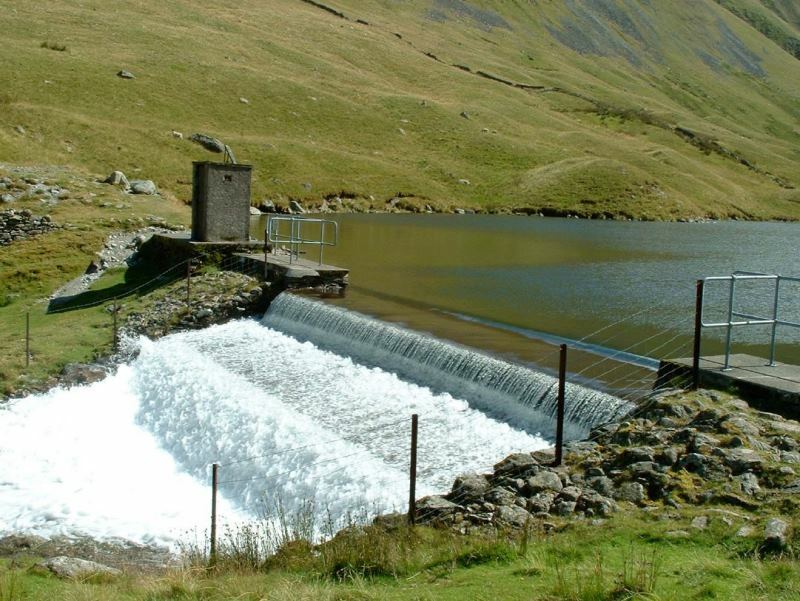 Hayeswater reservoir is located in a high mountain valley about two kilometres south east of Hartsop; at the head of Kirkstone Pass with access via a mountain track. The difficult access also required the design and installation of a modular steel bridge to cross the existing stream. 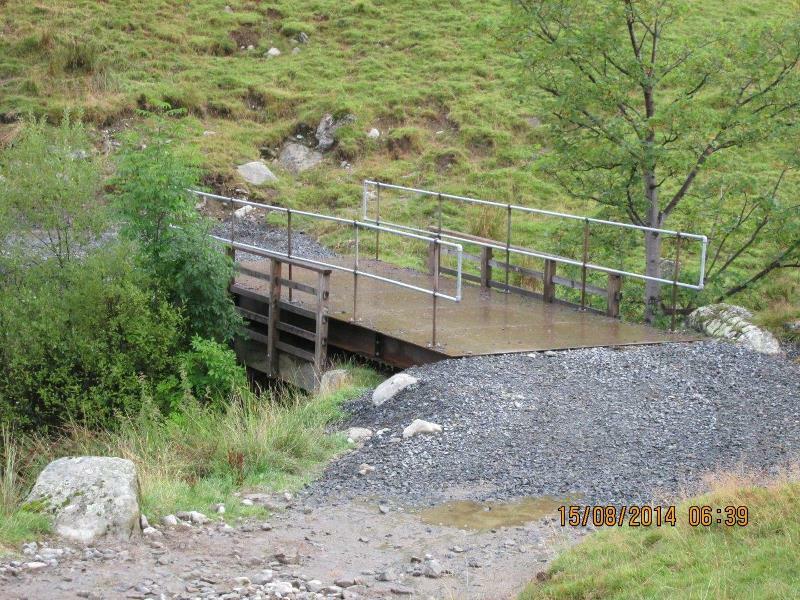 All parts needed to be relatively lightweight and utilised bolted connections, with the abutments formed from timber sleepers. 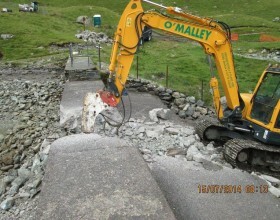 The weather was kind and allowed the construction to be completed ahead of schedule. 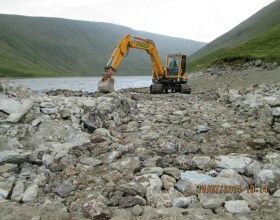 Natural vegetation will be allowed to establish and it is expected that some erosion and realigning of the channel will occur over time as nature once again dictates the landscape.